Striving to be your lender for life! I can help you refinance your home! Let's see where we can help save you some money. Buying a new home in Rancho Cucamonga can be a source of anxiety and frustration — but also a huge sense of accomplishment. That’s why you need a trusted professional to find the mortgage loan that best fits your needs. For those that already own a home, refinancing your current mortgage has never been easier. If you thought refinancing meant getting buried under mountains of paperwork, think again! I make it easy and worry-free to reduce your interest rate and monthly payment. Let me guide you to the very best refinance loan that meets your specific lending needs. Vicky Kelly has many years of experience in the real estate industry. I have held a real estate license for the past 32 years and have worked in various aspects of the industry. I started my career in the real estate industry as a real estate agent selling homes in 1977 while attending college full-time. I have worked as an appraiser, a title secretary, an escrow officer and finally landed in the mortgage industry about 10 years ago. My vast experience in all these aspects of the real estate industry in Rancho Cucamonga, Upland, Ontario, Fontana, Pomona and Corona, as well as the entire state of California makes me a valuable asset to you, the client, as I “know” my way around the whole real estate buying process. I owe “many thanks” to my past clientele as they have contributed to my success as a top-producer for the past several years. I pride myself on the fact that 80% of my business comes from my past clients and their referrals. They are the backbone of my business. I treat every home loan as if it were my own and follow the golden rule: “do unto others as you would have done unto you”. I expect to be treated professionally and fairly and strive to give my clients the same service. Conventional loans refer to any mortgage that is offered by a non-government lender. Both conforming loans and non-conforming loans such as jumbo loans are considered conventional. Although these loans traditionally had a 20% down payment, there are many options available now with low down payments. Ask Vicky Kelly Global Mortgage how you can save money upfront with a conventional mortgage! Saving up the significant funds required for a down payment can often be a roadblock to purchasing a home. We have several options to help you with the upfront costs to help make homeownership a reality. Although traditionally, down payment assistance was only available to first time home buyers, there are many other programs that may be able to help you secure a lower down payment or even no down payment at all! If you are looking for cash to buy a fixer upper and need cash to make the repairs, a FHA 203k Loan may be your best bet. The 203k Loan is a FHA Home Renovation Loan that combines the cost of both purchasing the home as well as repairing it. Whether you’re looking for a standard or streamline loan, Vicky Kelly Global Mortgage can help you. FHA Loans have long been an attractive loan option for first time home buyers due to the flexible credit requirements and lower down payment. If you are looking for a mortgage with a competitive rate, the fact FHA Loans are insured by the government means lenders can offer you lower rates than through other loan programs. For many first time home buyers, the process of securing a mortgage and purchasing a home can seem overwhelming. But with Vicky Kelly Global Mortgage, the process can be fast and easy. We will take the time to understand your needs and goals to ensure you end up in your dream home, and we will educate you about the process along the way. If you’re seeking to purchase a home with a price that exceeds the maximum loan limits set by Fannie Mae and Freddie Mac, you will need a jumbo loan. Jumbo mortgages are for more expensive homes and/or high-end construction homes. They typically will require a larger down payment than a conforming mortgage or government loan. Reverse Mortgages are a special type of home loan, available to homeowners over the age of 62. A reverse mortgage, also known as a home equity conversion mortgage (HECM), allows homeowners to convert the equity in their home into cash, which can be used in a variety of ways, including to pay off an existing home loan, for medical costs and more. It does not affect the inheritance of your beneficiaries. It is called a reverse mortgage because instead of a typical loan where the borrower makes payments to the lender, the lender instead makes payments to the borrower. Although there are misconceptions about reverse mortgages, this is a common loan option among those over 62. Urban living is not for everyone. If you’re seeking to buy a home in a rural area or some suburban areas, USDA Loans may be your best option to purchase a home. 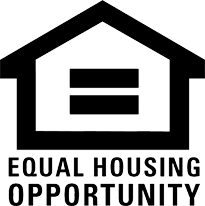 USDA Mortgages are tailored to help low to moderate income families secure safe and sanitary housing. VA Loans are intended to help veterans and/or active duty military or spouses buy a home with favorable loan terms and conditions. VA Mortgages are unique compared to other loan programs, in that they do not require PMI, have no down payment and are typically less costly. 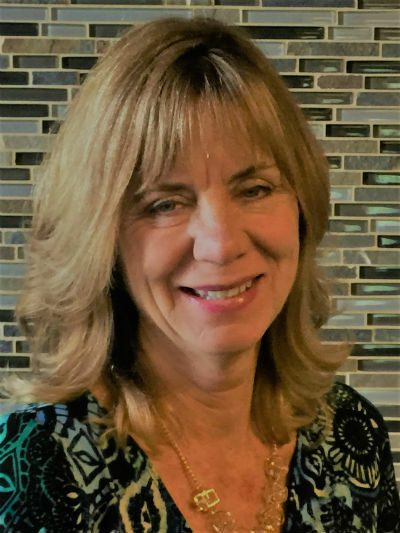 Vicky Kelly is located in Rancho Cucamonga, and serves surrounding areas including Upland, Ontario, Fontana, Pomona and Corona, as well as the entire state of California. Contact her at (951) 675-0257 or fill out the form on this page to get pre-approved for your home loan today!